Every once in a while that exquisite home comes on the market that is unbelievable...today is that day. This 4624 sq. ft. home in the Town of Koshkonong has everything you could want and then more surprises. 4 BR, Master Suite with soaking tub, shower, walk-in closet, private fireplace and more, 3. 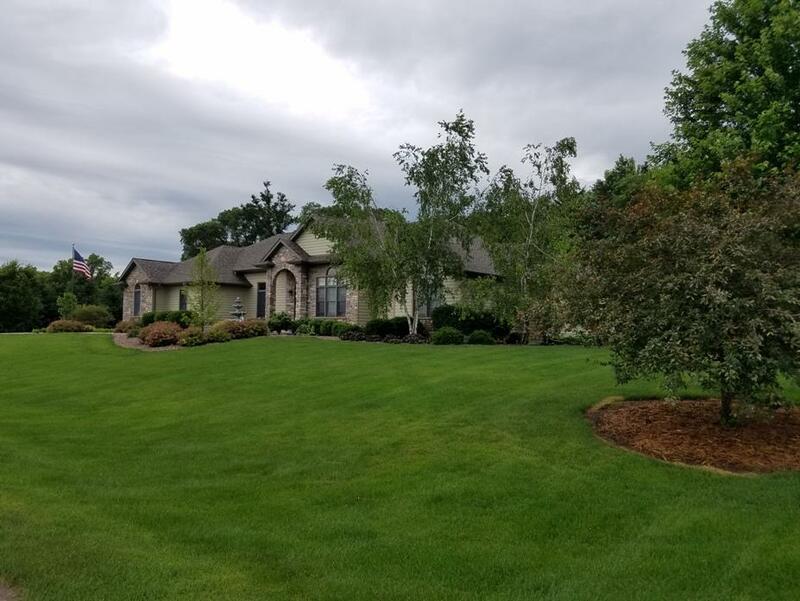 5 Baths, central vac, 12'' tray ceilings, 3 car garage, Heated RV storage building (45 x 35) with entertainment area, wet bar, granite serving counter that opens to yard, 10 x 10 tree house that matches the home and much, much more. All this sits on 1.378 acres with an additional .691 acre lot available (separate listing). Call soon for your private tour before this one of a kind home gets away.